Saturday cooking for mah bellee, and maybe my families bellahs too. A wonderful, lovely job that I lurve with all my heart! My job is late morning to the afternoon. That means I need to eat a lunch and since I’m at work, that means I pack a lunch. It’s only October and my lunches are lacking. So I spent yesterday cooking to my heart’s content! I think it was just about 10 hours total in the kitchen. Was I tired? Did my back hurt by the end? I made some seriously nummy, yummy dishes for the freezer that will eventually become my lunch. Bye bye boring brown bag lunch. Hello deliciousness! I wish you could join me in some good eats, but I still have not figured out how to inter-send food over the web…instead you can feast your eyes! 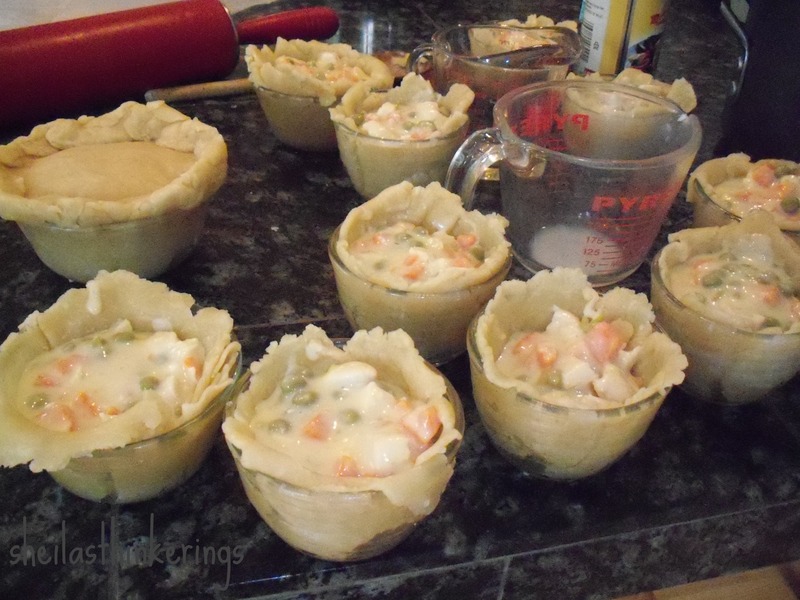 Chicken pot pies with Grandma's recipe for the crust and the filling! 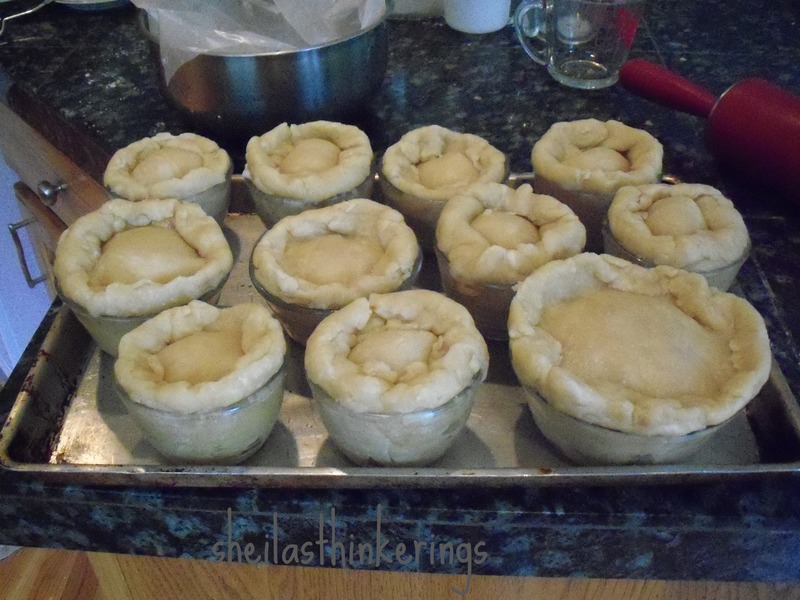 I pre-bake them, then freeze. Makes for an easy, quick-lunch prep on those many hectic mornings. After the pot pies entered the oven, I began dish number two: Cottage Pie! 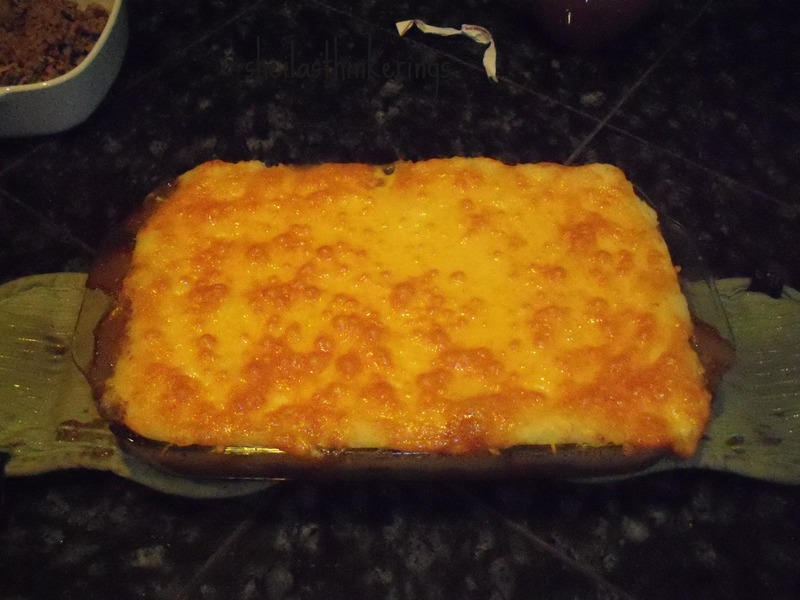 Cottage Pie or Shepherds Pie, whatever you call it-it's delightfully yummy! Thank you Dave for teaching us all the tricks to home-made Chinese. We love and miss you so! 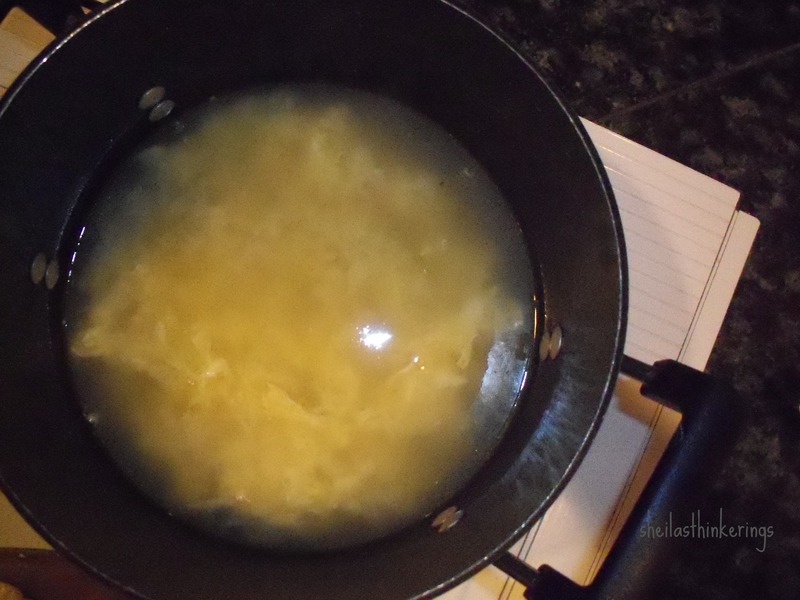 I did include for the first time ever, Egg Flower soup. This is my daughters most favorite soup in the world, especially the tofu. I thought, why not give it a home-made try? It turned out pretty yummy. Not quite as good as the restaurants, but she still loved it and with some tweaking, I know I can make it perfect! Color - perfect! Consistency - perfect! Taste - pretty close to perfect! 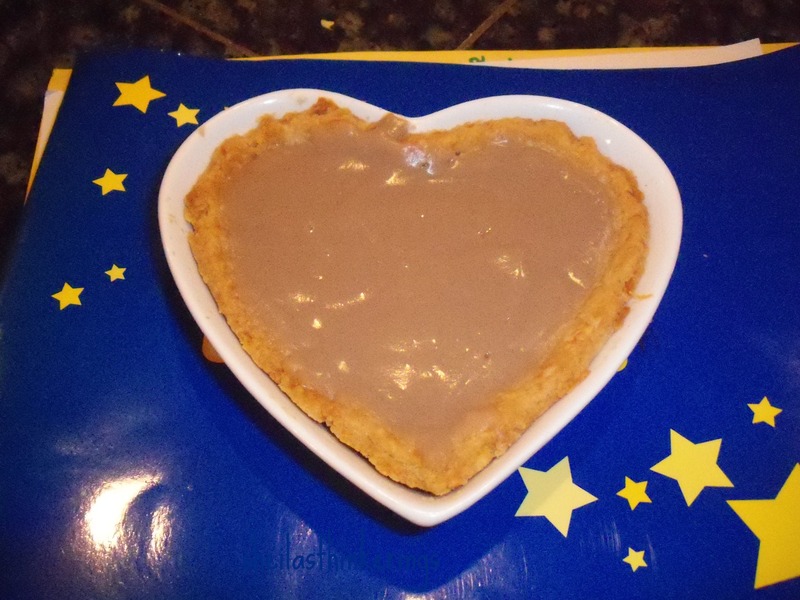 I must confess that I did not make everything by myself and there was one dish that I did not make at all. 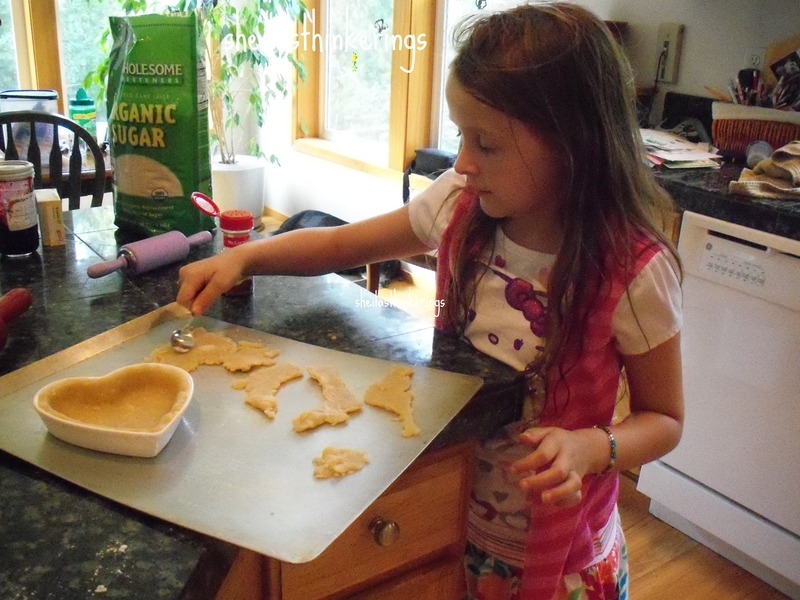 My daughter was a perfect helper to use up the left over pot pie dough. She made her very own creation! From scratch! No recipe! I was amazed and even more so when I tasted it! 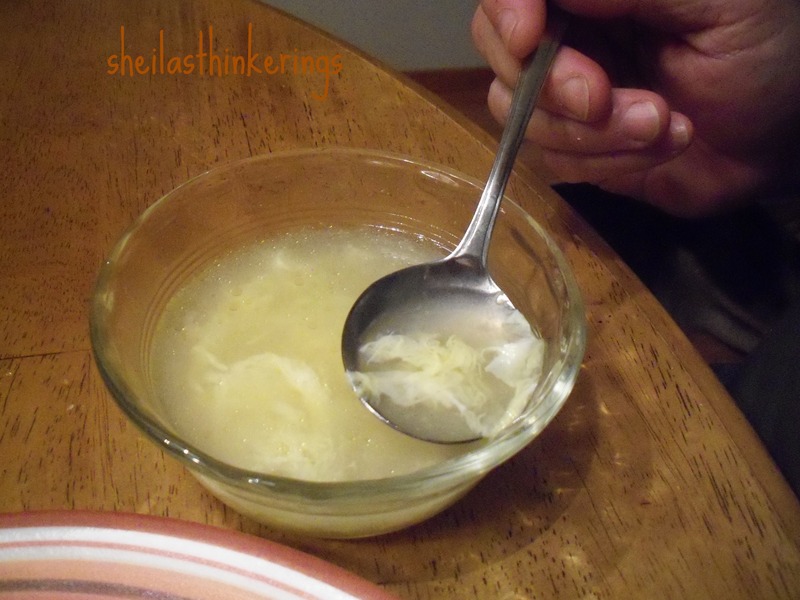 We have found something, quick, easy and oh so yummy! We are already tweaking it perfection! 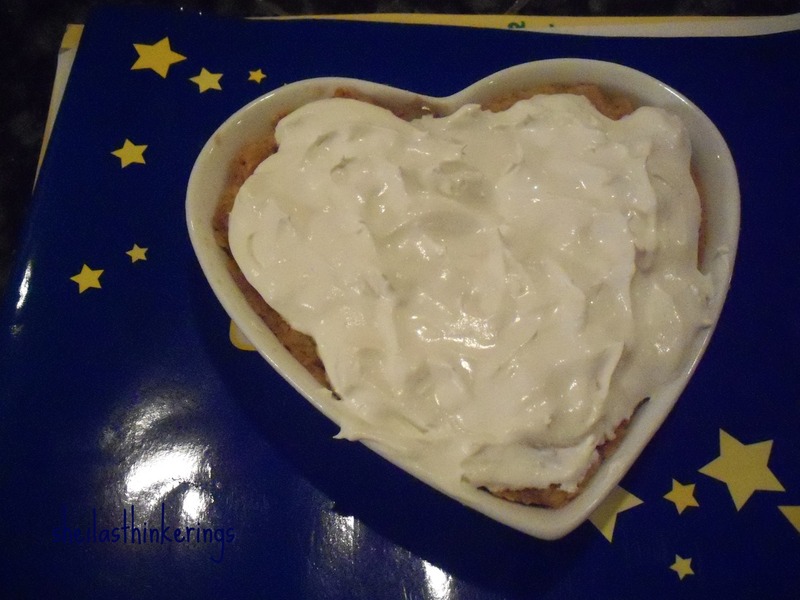 There was too much dough left over to turn into only cinnamon crisps, a little dessert was the solution! She made a new heavenly creation! Ok, she may not be the first person to ever make this, but she just might be the first one to use the method and ingredients like that. I can’t tell you all the details because she has a plan for her recipe that I can’t divulge just yet…but patience my friends. She can still make you one while we’re waiting. I’m so happy tomorrow is Monday, I get to take one of my delectable dishes for lunch! 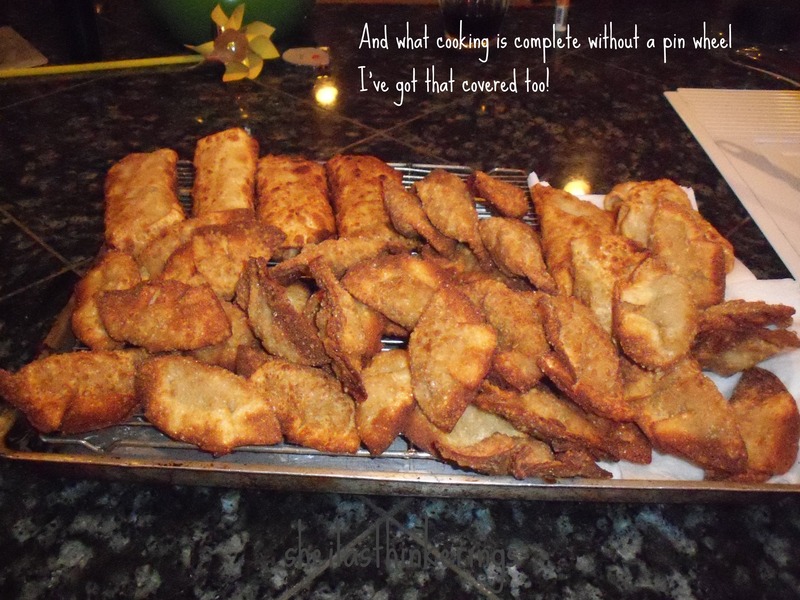 This entry was posted in Blog 365, Family, General and tagged cook, dessert, dinner, lunch. Bookmark the permalink.